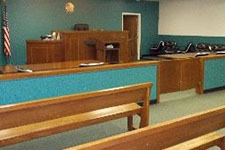 The Trumbull County Central District Court, located in Cortland, Ohio, serves the following communities: Cortland, Fowler, Johnston, Green, Mecca, and Bazetta. The court consists of only one judge, Thomas A. Campbell. 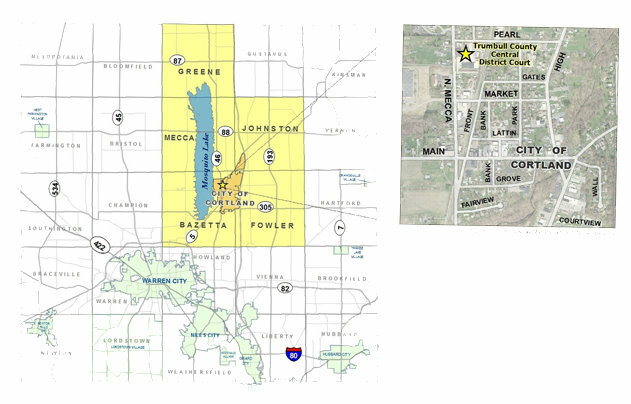 Below is a map that highlights the areas encompassed by the Central District Court along with an aerial view of the court and its surrounding area. Video Arraignments are Monday, Wednesday, and Friday at 10:30 a.m.